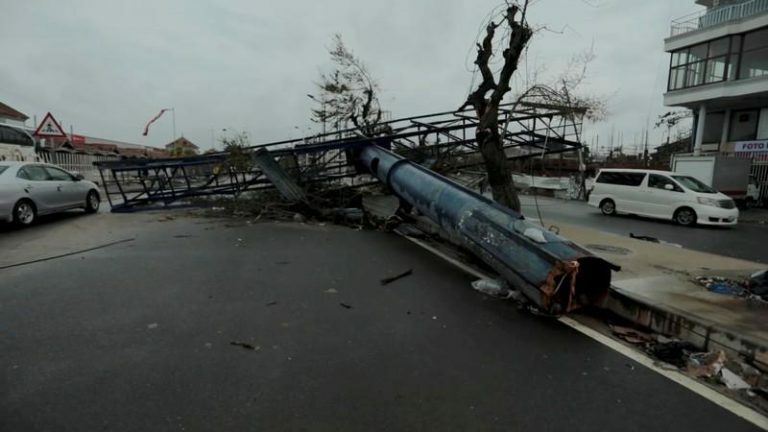 Mozambique President Filipe Nyusi said in a televised statement following a cabinet meeting on the disaster the death toll after Cyclone Idai stood at over 200 up from 84. Winds of up to 170 km/h and flooding swept across south-eastern Africa, including Zimbabwe and Mozambique, affecting more than 2.6 million people, according to United Nations officials. “This is the worst humanitarian crisis in Mozambique’s history,” said Jamie LeSueur, leading rescue efforts in Beira for the International Federation of Red Cross and Red Crescent Societies. The organisation said large areas west of the port city were severely flooded and in places close to the Buzi and Pungwe rivers flood waters are metres deep, submerging homes, telephone poles and trees. LeSueur said earlier, when the death toll was 84, the full human impact of the disaster remained unclear and the figure was likely to rise. While the official count increased, it is below the 1,000 deaths Nyusi estimated after flying over some of the worst hit areas, seeing firsthand submerged villages and bodies floating in the water. The cyclone hit land near Beira on Thursday and moved inland throughout the weekend, leaving heavy rains in its wake. Many rural areas are still inaccessible. Studies of satellite images suggested 1.7 million people were in the path of the cyclone in Mozambique and another 920,000 affected in Malawi Herve Verhoosel, senior spokesman at the U.N World Food Programme, said. He gave no figures for Zimbabwe. Telma fa Gloria, a street vendor, had not heard from her mother, who she usually speaks to every day, or her siblings, for days. Her mother’s neighbourhood is in one of the worst-hit areas. Heavy rains preceded the cyclone, compounding problems. “If the worst fears are realised we can say it is one of the worst weather-related disasters, tropical cyclone-related disasters in the southern hemisphere,” said Clare Nullis of the UN World Meteorological Organisation. Droughts are classed as climate- not weather-related. In Beira Nullis said water had nowhere to drain. Mark Ellul, a 31-year-old British doctor from Manchester working at the Beira hospital when the storm hit, was trapped in a hotel room. He said the hospital suffered significant damage. Beira is home to Mozambique’s second largest port, a gateway to landlocked countries in the region. The control room of a pipeline from Beira to Zimbabwe and supplies the majority of that country’s fuel is damaged, Zimbabwe’s Energy Minister Jorum Gumbo told state-owned Herald newspaper. “We have enough stocks in the country and I am told repairs at Beira may take a week,” he was quoted as saying. The European Union announced an initial emergency aid package of 3.5 million euros ($3.97 million) to Mozambique, Malawi and Zimbabwe for logistic support to reach affected people, emergency shelters, hygiene, sanitation and health care. Britain pledged up to 6 million pounds ($7.96 million) in aid. Citizens in Zimbabwe are mobilising donations, including cash, food and clothes to help thousands whose homes were wrecked by the cyclone. President Emmerson Mnangagwa, who visited Chimanimani, told reporters Tanzania and the United Arab Emirates were sending donations while neighbours, including South Africa, Botswana and Angola, would help.